Fishing streamers is not always about casting large flies in deep water and heavy cover with a sinking fly line. Sometimes streamer flies are effective in shallow riffles and edges, especially when you use smaller flies and a floating line. 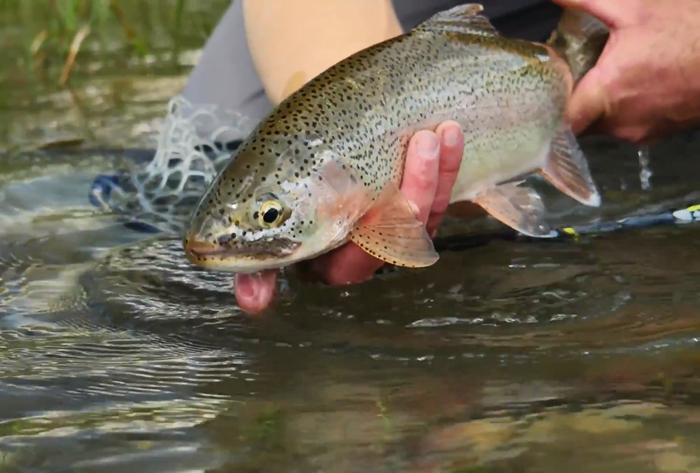 Dave Jensen shows you how to rig a pair of small streamers and then demonstrates what type of water you should cover when trying this method.